Congratulations to our January 2019 Student of the Month, Cody Johnston. Cody is the Yelm High School ASB secretary, National Honor Society member, an Eagle Scout and a Varsity Cross-Country member. Cody is good student (3.8 GPA) who has continues to take challenging classes. Cody has been very involved in school from Athletics (3 sports) to ASB officer as well as the NHS. Outside of school Cody has kept himself busy as well! He recently earned his Eagle Scout designation, completing many hours of service in order to do so. He also volunteers with the local Lions club. In addition he has volunteered at the food bank in Thurston County a few times and was a Page the Washington State House. He also participated in the Evergreen Boys State program. Cody recently received an appointment to the Naval Academy! Huge honor. 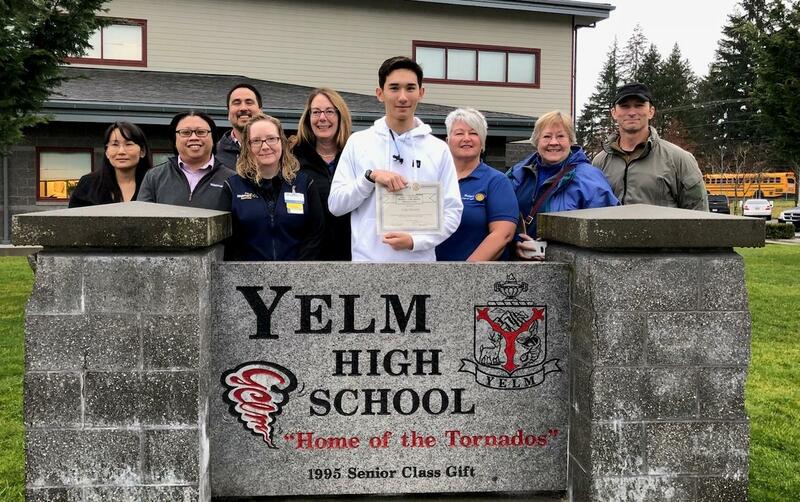 On behalf of our business partners City of Yelm - Government, Walmart Yelm and Olympia Federal Savings we wish to say - Congratulations Cody!